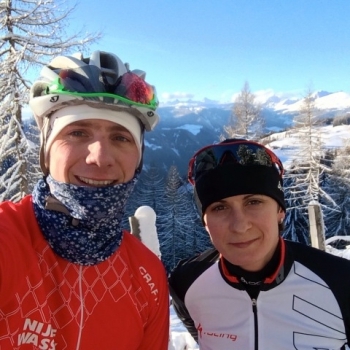 Stay in touch with the training progress and preparations for the winter season of Sebastian, a Polish 28-year-old speed skater, participant of the Olympic Games in Vancouver (2010) and Sochi (2014), Polish team champion (2013). The speed skating 2015/16 season is already over and even though I was not writing much on my blog, I was training hard and from my point of view the season ended on a good note. I was able to train with the best athletes in the Czech National Team and got to better my avarage time compared to last year by 15 seconds! 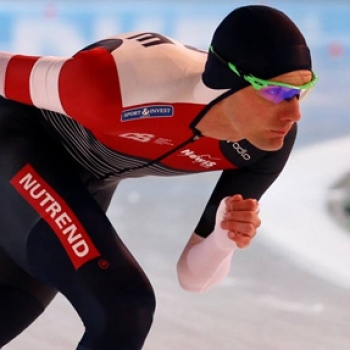 At the end of January 2016 I was put to competition in Norway in the World Cup in two races: 1500m and 5000m. I'm especially proud of my achievement on the second competition day when I was competing in the 5000m race and finished with my season's best time 6:31:48 and placed 6th in the B group, which was 19th in the World Cup qualifications. I also had a chance to start against my former teammates and I'm glad to see my improvement as I finished ahead of 4 of them. It means for me that I made the right choice to pursue my athletic career in a different team! In Norway I had to start twice alone in the first pair, because this was my first start of the season and I couldn't be paired up with anyone. I think this had a bit of an impact on my time result, because the starting position always influences how fast you race. Overall this was a good experience for me, I proved my abilities to my new team and trainer and have gathered enough points to compete in next season's World Cup! I'm eagerly looking forward to it, maybe I'll even make the Olympic Team in 2018? 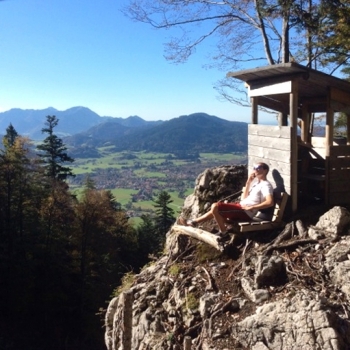 As a speed skater you need to work hard to keep in shape off-season and it demands a bit of flexibility in how to use the available facilities. Everyone involved in winter-specific sports is aware of the hardships of training off-season and preparing for the winter season without really being able to train their own winter disciplines. This year during some snowy days I went out into the mountains to do some ski mountaineering, which I tried out last year and have enjoyed ever since! Another great activity to shape your skills off-season is to ride a bike. I usually travel to the southern European countries, where the winter is not as cold as in Poland. In my 114 active days in 2015 I rode a total of 248 hours and 7,112 km! It wouldn't be possible without my sponsor Grena providing me with a top-notch bike to do all these kilometers! I enjoy the bike training a lot, so that's where my main focus will be in preparation for the next season in 2016! Just a few days I participated in the official Polish cycling season opening - the "Ślęzański Mnich" race. You can read more about the race here. I won my starting category of amateurs and finished the 54 km race with a time of 01:19:43! After ending the year 2014 with a good vibe after winning some races during the World University Championship in Almaty, Kazachstan as well as winning 2nd place in the Warsaw Single Distances Championship, I was ready and in good shape to take on new races during the World Cup Competition. During this time top speed skater and champion Martina Sáblíková and her trainer Peter Nowak reached out to me and invited me to their training camp alongside the Czech speed skating representatives. So this is where I spent the rest of the season, training with Martina and the Czech team. And belive me, it was an intense 3 months!! The Czech have their Speed Skating training base in Collalbo, Italy and have come here to train for many years already. The training was very hard for me, but the hardships one endure to get better results...;) After that was Hamar and the next World Cup competition...unfortunately without my participation, even though I felt really good and ready for the race. Once the competition in Hamar was over we went directly to Inzell, Germany to prepare for the next one. The training I did was focused on competition races, so I am going to be prepared for the next season. Again, it was very hard training which resulted in two gold medals...not mine of course as I was not to compete.Sáblíková won both the 3 km and 5 km race and became world champion of the female division! At the beginning of March, the extreme training continued in Calgary and Sáblíková won the title of World Allround Champion. Next was the Finale of the World Cup 2014/15 season in Erfurt, Germany. Martina Sáblíková won her 9th in a row World Cup in the 3 km and 5 km races. After the season has ended everyone went home to get some rest and restart the engine for the next season preparations. The time spent with the Czech representatives was a great experience for me. I'm proud to have been able to help out a little bit with tha training of such a talented athlete like Martina. Even though I couldn't take part in the competiton during these last 3 months I'm happy with how the season turned out and I'm really optimistic about the future! Now I'm using my time to get a bit in shape before the real season preparations start. I'm swinning a lot and doing some skitouring in the Tatra mountains. I admit the latter has became a great passion of mine recently. I've already registered for the Malinowski Memorial on April 18th and I'm also planning to compete in some bike and roller blades competitions. As the World Cup qualifications are only days away, I concentrate fully on my training and hope my hard work through summer will pay off! I'll give you a short report on what it's like to train for the World Cup qualifications! In September I reduced my bike-training hours to trainings in the gym and on ice. I went with the Polish team to Spała (Poland) - where we did a lot of strenght training and were working ourselves into THE best shape for the coming winter season. We spent the rest of the month in Berlin and Inzell, Germany, where the training was fully concentrated on the ice-skating practice. I also had an opportunity to take part in the efficiency research examination done by the Sports Institute in Warsaw. The results are not in yet, but I'm really curious about them! Luckily, I also got to spend a few days at home beetween training, so I could relax in the mountains and play with my dog - he's really young yet, so he likes to do puppy-things like biting everything into pieces - but either way, I miss him when I'm not home. The real deal starts now!! Wish me luck! Tour de Pologne for Amateurs - Results! Just got news that Sebastian placed 11th in the general category and was 4th in his own category! Details, times and photos will be coming soon! As mentioned before, I got 11th place in the general ranking with finishing the race with the time: 0:59:15 and avarage speed of 32.2 km/h. You can find some pictures already in the gallery!